The dancer, who last split up from the singer in August (16), documented his crash online by sharing a photograph of his damaged white luxury car on Twitter on Wednesday night (07Dec16). In the picture, the driver's side has a significant dent that stretches between both doors, completely crumpling the rear one. The wing mirror is missing, as well as the glass in both windows. Casper assured fans he was alright following the collision, which he claims wasn't his fault, but his car has been completely written off. "Rough night for me," he tweeted. "Smashed into a tree. I'm safe and ok thank god. But my beautiful car is totaled. #wasntmyfault." The 29-year-old dancer began dating Jennifer, 47, in late 2011 and they first split in 2014, then again in 2015 before getting back together again. They reportedly broke up for good in August (16) because he cheated. Neither of them has commented on their break-up, but a source told People.com at the time it was a mutual decision. "It (their split) wasn't anything dramatic and they were on good terms - it just came to a natural end," the source said. "They will remain friends and they see each other, but they are not together. It was very amiable." Casper is the second dancer Jennifer has dated - she was previously married to Cris Judd, her second husband, from 2001 to 2002. Talking about her attraction to dancers in 2014, she said, "I've dated two dancers. 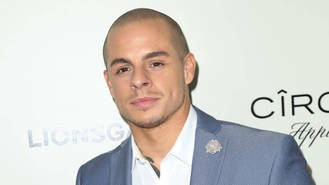 One, I had a brief marriage with, Cris Judd, who is an amazing person and whom I love, and then Beau (Casper Smart), we just broke up, who I love as well. He's a good friend."